Add long-wearing, natural-looking colour to your complexion with the Daniel Sandler Watercolour Liquid Blush; a lightweight, buildable formula to enhance radiance. Enriched with Jojoba and Vitamin E, the multi-award winning, water-resistant formula nourishes and conditions skin, whilst delivering streak-free, blendable colour that applies effortlessly to create a subtle, dewy sheen. Can be used as a blusher or highlighter. The ingredients may separate in the bottle so shake to mix evenly before each use. Unscrew the cap and squeeze out one tiny drop of blush on the back of your hand. Using the Waterbrush (not included) or your fingers, pick up a first drop of colour, apply to cheeks and blend. Using the remaining product, do the same thing on the other cheek. To deepen the colour on your cheeks, re-apply a drop of colour to each cheek and blend. Remember to always replace the screw cap securely. I like this liquid blush. It took a little getting used to applying it but it adds just the right amount of color to my cheeks. I especially like to mix the color blush with the "icing" blush. It adds just a little bit more sparkle. I wouls recommend this product. I watched a youtube video in which the makeup artist used this blush, so I decided to try it. Boy am I glad I did! It took me a little while to apply it correctly, but I love the way it makes my cheeks look naturally rosy. I mix the Icing shade in with Rosy Glow and it works as a blush and highlighter in one. This is the best blush product I’ve ever come across. 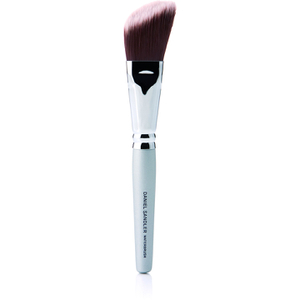 It goes on the brush easily then onto the skin with a natural touch of color blush. I ordered samples now I’m back for the larger size. It’s fabulous quality product. This is a great liquid blush!! It is such a pretty color. I will never go back to a powder again!! 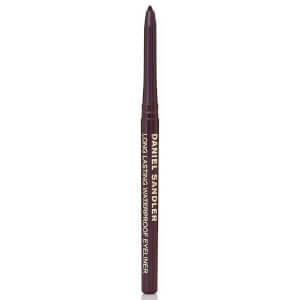 I've been using this Daniel Sandler Watercolour Fluid Blusher for a couple of years now and absolutely love it. I tan very easily in the summer, but get quite pasty in the winter (Italian skin) and I use the "passion" color for an all over natural look. It highlights what is needed, without making you look all "made up." It gives me that second glance look, opposed to the tired look (I'm early 50's). I also have the "so pretty" color for those days I want to look a little more made up. It is not waterproof, but the color stays on all day long!! A little goes a very long way... seriously, just a drop for each cheek and you use what is left on your brush for highlighting areas on your face. I don't have to retouch and always look fresh! My only worry is I cannot find the "passion" color anywhere so I am dreading when I run out of it. Highly recommend! !